I originally posted this recipe last year, after spotting something similar on Cafe Miami’s Instagram feed – a Hackney based cafe. 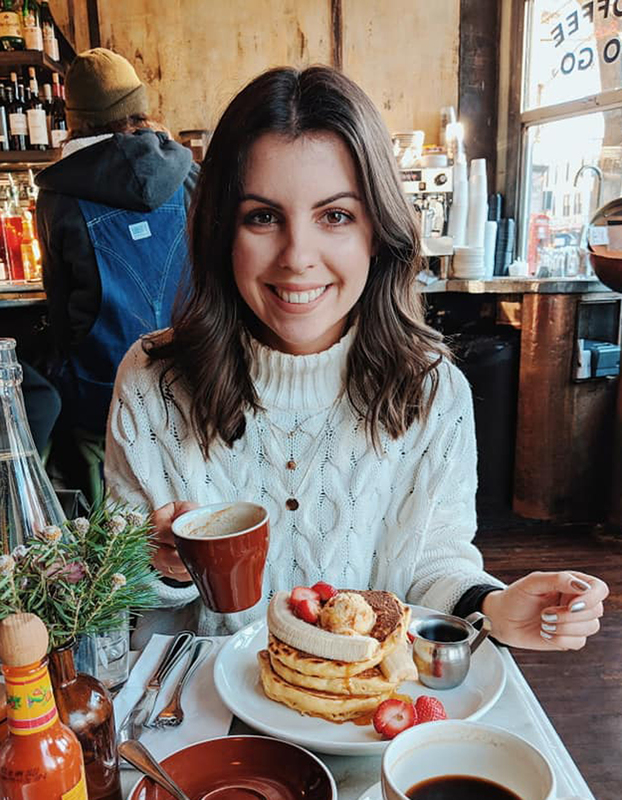 Hoping to recreate this delicious brunch this Easter weekend for my parents, I thought I’d repost it for you all to enjoy too. 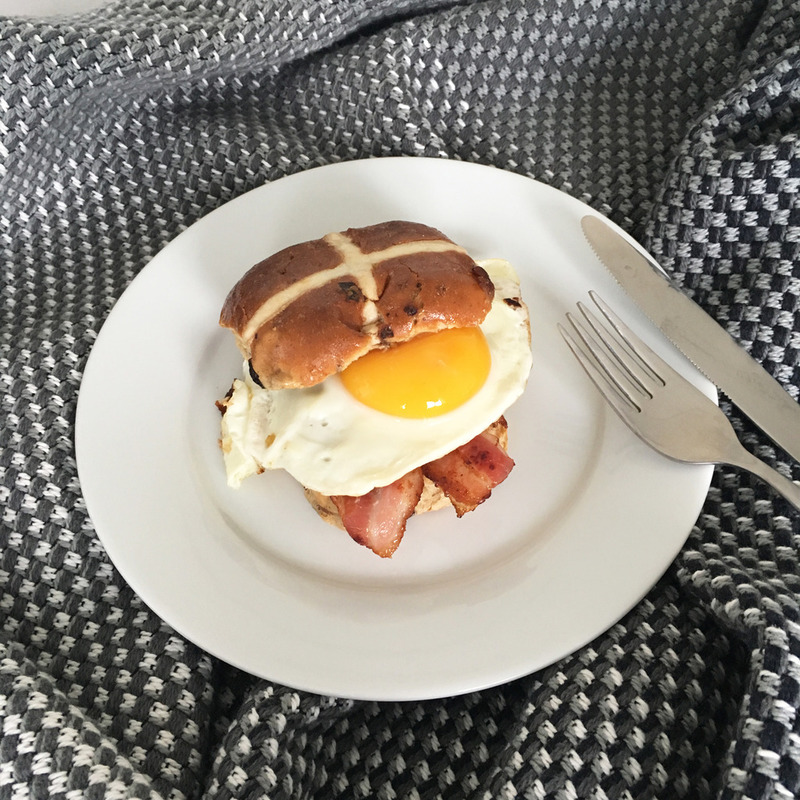 Now I know, a bacon and egg hot cross bun might sound odd, but believe me when I say, IT WORKS! 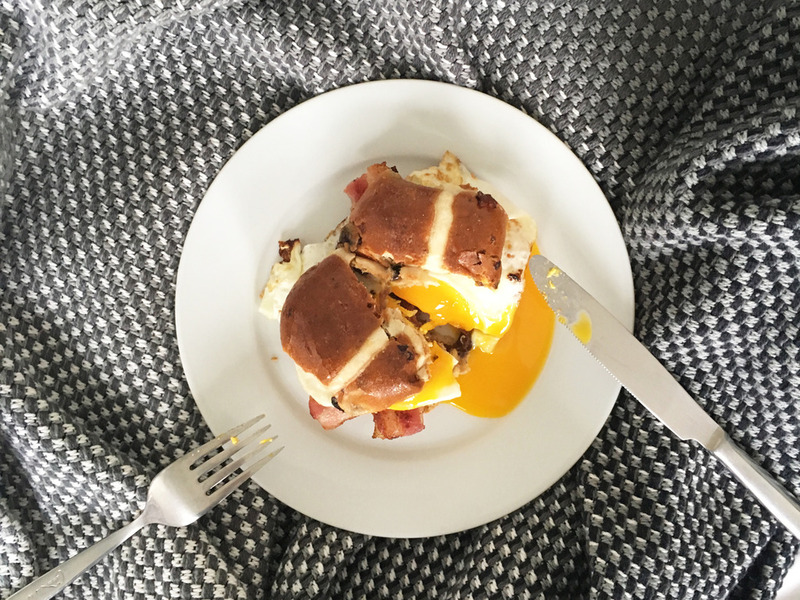 Plenty of us enjoy bacon on pancakes with maple syrup, so why not bacon in a raisin bun? The sweetness from the raisins and bun, compliment the smokey bacon perfectly. 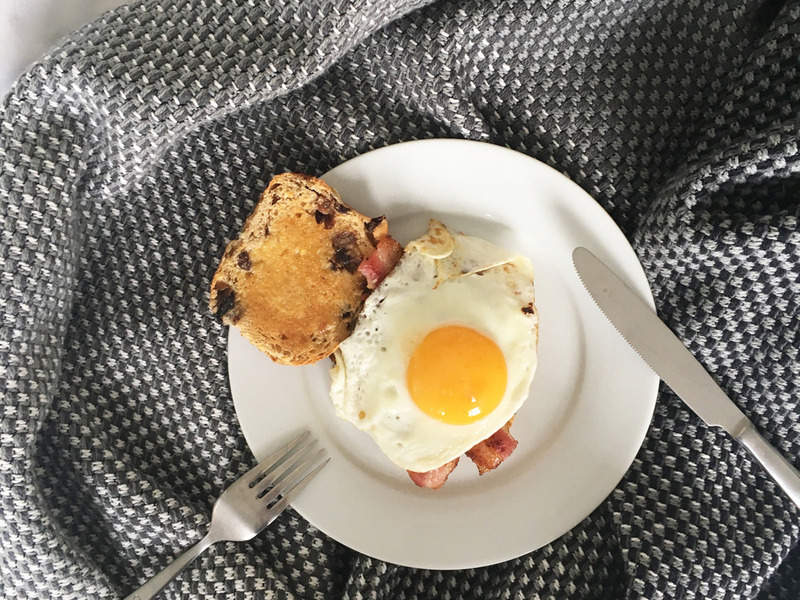 My top tip – break the yolk of the egg with a knife and gently spread it around before popping the bun on top. This helps the bun soak up the yolk and prevents any dripping. Begin by putting your grill on to high, and add a drop of oil to a large frying pan over a medium heat. Meanwhile add your bacon to the frying pan for 1-2mins. 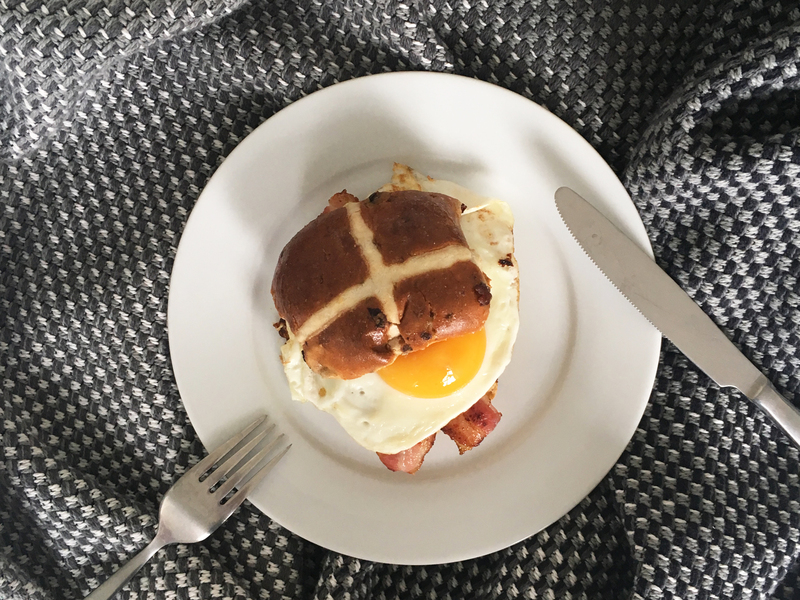 Add your eggs to the pan, flip your bacon over and turn your hot cross buns over in the oven. Cook everything for a further 1-2 mins or until browned. Remove your hot cross buns from the oven, add a little butter to each half and spread once it begins to melt. Take the frying pan off the heat. Add your bacon rashers to the bottom half of the bun. Layer on an egg and add the top of the bun. Enjoy!